Don’t forget to visit www.freebookblast.com today for the chance to download your free copy of Perfect World #1 and loads more great indie titles! Event starts at midnight pacific time (USA) and ends at 11.59pm. Shari Sakurai is taking part in the #SupportIndieAuthors sponsored Book Blast event Night of the Living Book Blast. 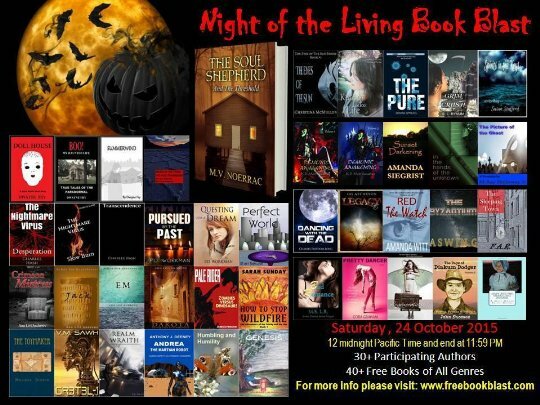 On Saturday 24th October dozens of authors will be offering free books which will include Perfect World (Perfect World series book #1). All of the books will be listed on the official website www.FreeBookBlast.com. Don’t miss out on a chance to download some free books by awesome indie authors!